We make it a breeze to plane your event’s entertainment. Your personal online client portal is mobile friendly, provides the most current requests music charts for pick out music, and event simple event worksheets to best express your wedding vision. What is provided for dinner? We provide light social music of easy to listen to music (Nothing that going to put people to sleep). If requested you are able to customize your own list. How do we communicate our event details to the DJ? We provide you with an online event planner for communicating your specific event details. When do I need to turn my planning form in? Your planning forms should be returned to our event planners no later than 2 weeks prior to your event. If you’re still unable to decide on special songs you can always update us over the phone or via email in the weeks leading up to your event. What do we do with the music planner? 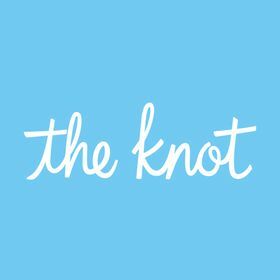 This is for making music requests for your dance, communicating specific detail, and setting a timeline so you DJ/ MC can and help move the reception and dance along. What if we are having trouble picking our spotlight dances? We have a list of recommended songs for each of the spotlight dance and a full-time event planner who is available to help with song selection. Just give us a call. Can we have a custom dinner music playlist? You can select from a variety of popular styles that we can provide. If you would like specific songs during this time we would ask that you provide it, this could be on USB, CD or using a mp3 player/device. How many songs is a four hr dance? You can make as few or many as you’d like. We like to keep you song requests list to 40 songs or fewer to ensure that all your requests are able to be played. We would like to do a smash up of songs for one of our dances, Will you put this together for us? We cannot record mash-ups because of licensing restrictions. If you make your own mash-up and provide it to us we can play it. Can we put together a list of songs we don't want played? We hire the most friendly and personal DJs, Your DJ will not need to be in the spotlight but can step up and take charge when need be. All of our DJs take a nationally known DJ course that produces some of the best DJs in the world. Believe me when I say there is a skill in knowing what songs to play and when to play them. Will the DJ take guests requests? Off Course. Please let us know if you don’t want us to take requests. In most cases, you will be notified who your DJ is about a month before your event and you are free to contact them if you like. If you reserved our Master event package you will know before the contract is signed who your DJ will be. How are DJ selected for events? Your DJ will be matched up with you based on your event package and want experience level of DJ you are looking for. If you reserve our master’s event package you will know right away who your DJ will be otherwise, you will be notified about a month before and at that time you can feel free to reach out and say Hi! Our DJs will be dressed for success. We require that they wear formal attire such as shirts and ties. We saw a DJ we loved. Can we reserve them? Yes. We do our best to accommodate all DJ requests, but we cannot guarantee anyone’s availability. What do we need to provide for our DJ? We ask that you provide a 6 to 8 foot skirted table, access to a standard outlet and easily accessible parking. You are not contractually obligated to feed your DJ though most couples recognize that the DJ will be working very hard for them and choose to include the DJ in the meal headcount. If you don’t plan to feed your DJ let them know so other arrangements can be made. Will the DJ make special announcements and introduce important events. Yes. We will announce all events and make announcements on behalf of the venue, and any other vendors, as needed. Our DJs will not take a scheduled break but will find appropriate times throughout the evening to refill waters or use the restroom. There will always be a continuous flow of music. In the event of an emergency, we have backups to fill in. Click The Book Now Button & We’ll walk you through the process or email us and we will send you the needed paperwork to reserve your date. After you accept the terms you will be prompted to make a deposit with a credit or debit card. We accept Visa, Mastercard, Discover, and American Express. Payments can also be made by check on the day of event consultation. A deposit of 33% is required to reserve your date. The deposit comes off the total price of the event. Are taxes included in the quote? We do not charge a tax on your reservation. The quote you receive is the price you’ll pay for the reception and our services. Will we receive a contract? Yes. We send out an agreement for you to review and sign. We offer free travel for up to 100 miles round trip of the corporate office. Addition fees may apply and will be included in your quote. When do you need our contract returned? Within 10 days of receipt of the paperwork. We cannot reserve or perform without a signed agreement and deposit. Can we pay our balance in advance? Yes, we accept payments made by checks up to 30 days prior to the event. The final payment is due 30 days prior to the event. A fifty dollar late fee will be applied to any late payments and the balance due has to be paid in full before we send out a DJ to your event. What type of sound system do you offer? We offer two different size sounds systems. Our Traditional event package comes with a system large enough for up to 200 guests or small to medium size venues. If you are planning a medium to large size event it is recommended to go with either the Professional or Masters event package. We offer two different lighting packages the basic packages come with 4 led wash lights the illuminate the dance floor to the sound of the music. The standard lighting packages come with the 4 led wash lights on a trussing and included is two sound-activated light that adds colorful effects to the dance floor. Yes. We use digital music. Can you provide music in multiple locations? How much space is needed for the DJ? Ideally, the DJ would have a 12 ft by 6ft area to set up. My reception is outdoors what special consideration need to be made? Our equipment will need to be under the cover of a tent or outbuilding in the event of inclement weather. We require access to power. Our system can run off one dedicated outlet or extension cord, or a 2000+ watt generator. I plan to have a large attendance for my event will your equipment be adequate? Our primary systems are good for up to 400 guests. We can do larger parties by providing additional equipment. What is all included with the photo booth? The photo booth rental includes; props, backdrop, photo station, & photo strips. Can we provide our own backdrop and props? Yes, you are able to provide your own backdrop and props. We, however, are not responsible for the take care of the items. We offer an open booth. Depending on the room in the venue, we usually can set things up to accommodate between 10-15 guests. Do we get the prints? Yes. We provide you with digital copies of all the prints. Will their be a photo booth attendant? Yes. The DJ will work as a photo booth attendant and change the print paper and switch out camera batteries. We will provide up to four songs for seating music, audio support for the ceremony as well as a corded microphone and stand for the officiant. Your DJ will be there to oversee the entire ceremony. My ceremony is in a separate area then the rest of my event. Will that be ok? What kind of consideration have to be made for an outdoor ceremony? We need access to a power source and a tent depending on location. My Ceremony is outdoors. Do I need to provide shelter? If your ceremony is on the property where the coverage would not be accessible immediately in the case of unexpected precipitation, we would require that a canopy is provided. I have a wireless microphone in our package can that be used for our ceremony? We do not encourage the use of wireless microphones for ceremonies. There is a high risk that they will pick up different signals such as radio or other white noise.